...but can that be trusted? 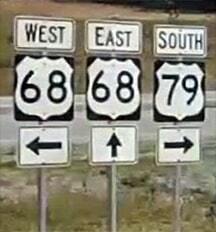 It is questionable because that same year, AHTD printed a detailed map of Crittenden County that showed US 79 ending at US 70 in Lehi. So why the discrepancy? 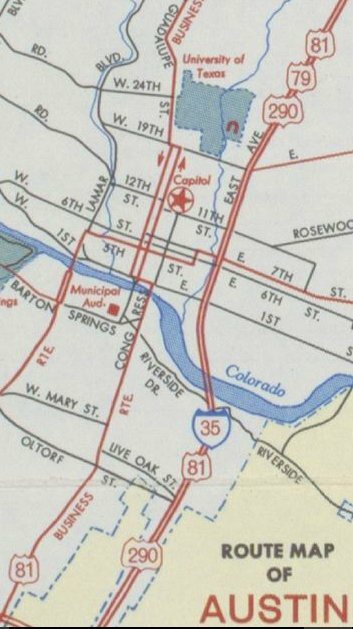 One theory is this: AHTD's 1935 issue included a route log for State Route 3, which did indeed begin at Cunningham Corner (three miles north of Lehi). 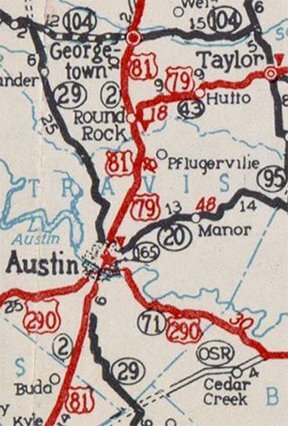 Later in 1935, the US 79 designation replaced most of SR 3 (but not the northernmost three miles). So it is possible that a staffer made the erroneous assumption that the route log for SR 3 could be used for the new US 79, even though that was not entirely correct. 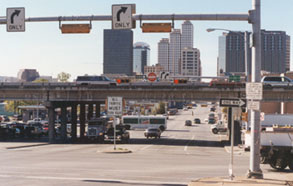 The overpass is I-40; in this area US 70 doubles as the southside frontage road for the interstate. 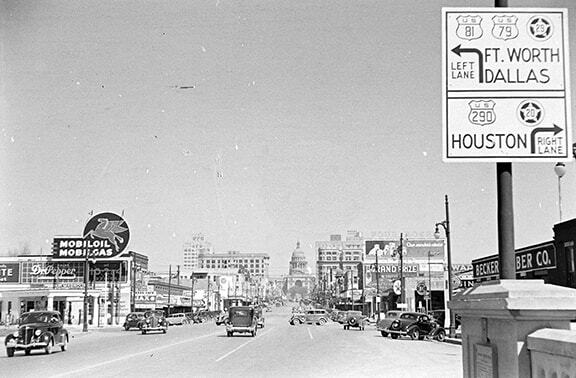 Around 1940 US 79 was extended east, on an overlap with US 70 to the Tennessee border (photos and more info on the West Memphis page). To the right is actually Business 68, but it meets mainline 68 about a half-mile in that direction. 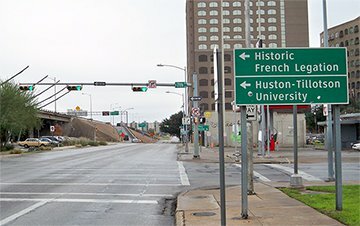 For a brief time in between those two photos, the road ahead was signed as "Formerly US 79". 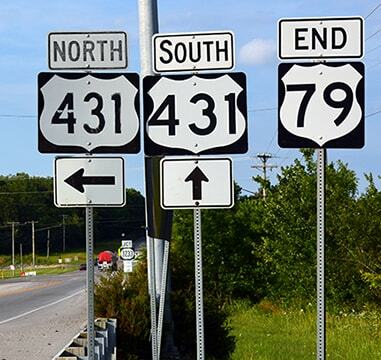 From 2007-2017, US 79 ended at that "elbow" in US 431. 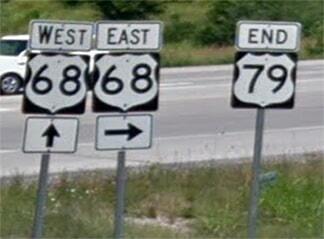 It was unfortunate that new US 79 shields had such an ugly shape. 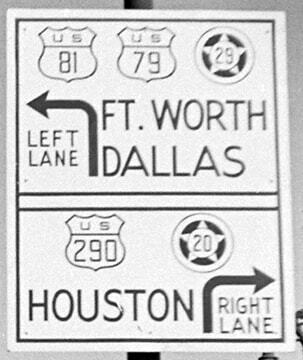 It was also unfortunate that US 79 ended at a 3dus route. 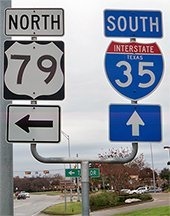 But that was only temporary, in anticipation of extending the US 79 designation to the right along a then-unbuilt road. 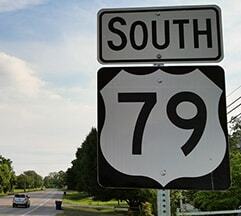 Given that Kentucky state highway 79 runs northeastward out of Russellville, along roughly the same direction-of-travel as US 79, one may wonder whether KY 79 was formerly a part of US 79. The answer is no. 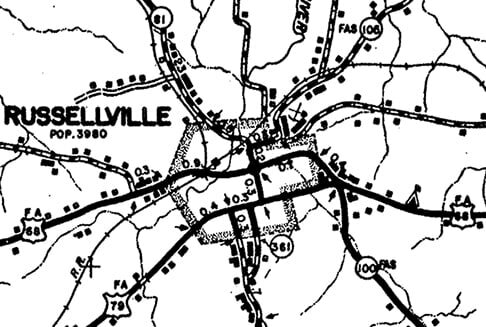 Prior to 1944, both of today's route 79s (heading both directions out of Russellville) were designated as KY 105. 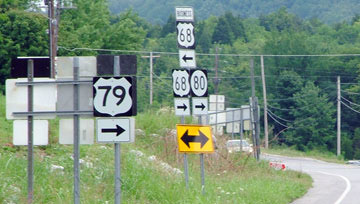 In 1944 US 79 replaced KY 105 from the Tennessee line to Russellville, but the road northeast out of town remained KY 105 for another two decades. 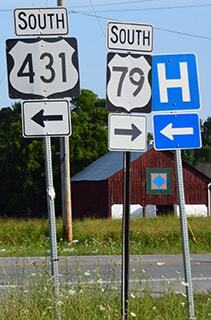 In 1965 much of KY 105 was re-designated as KY 79. 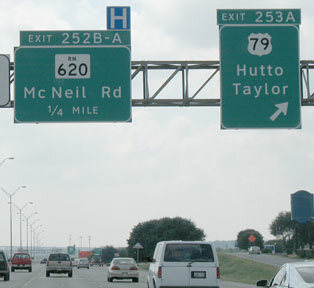 Obviously this was a nod to US 79, but that designation was never extended beyond Russellville, and I have not seen any evidence in AASHTO minutes indicating that KYDoT ever intended to do so. 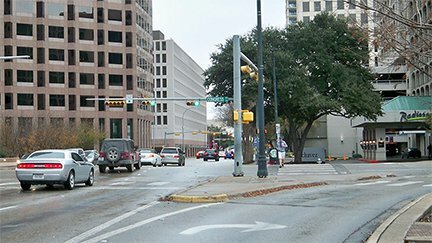 That was looking east on Chavez -- US 79 ended there, but US 81 continued to the right on Congress. 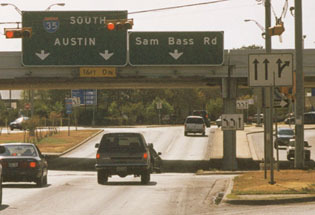 That direction was also westbound US 290, while eastbound was straight ahead. Research and/or photo credits: Carter Buchanan; Justin Cozart; H.B. Elkins; Karin and Martin Karner; Alex Nitzman; Mike Roberson; Dale Sanderson; Steven Taylor; Johnnie Welborn, Jr.
last updated Mar. 5, 2019.